Do you like kingfishers well, If you do I am going to give you some Information about this beautiful bird. Have you ever wondered were a kingfisher lived well this little bird lives In the wild. 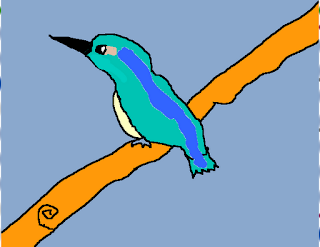 The feathers on a king fisher are brightly coloured blue feathers . This bird in Maori Is called a Kotare .Its diet Is beetles, bugs, spiders and grasshoppers ,and small fish. 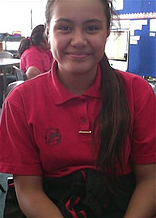 Kia ora Jorja, thanks for sharing this information. I had been wondering about Kingfishers lately. The other day one flew into our window at home. It was a bit stunned but recovered quite quickly and flew up to perch on a nearby power line. If I was going to leave food out for birds in the winter I was wondering if the Kingfisher would also eat it. Wow That would be so awesome to me for a kingfisher to fly in to my home , And about your question i'm not sure? HI Jorga, What a great story you've wrote about King fishers. Well to tell the truth I haven't seen a king fish in my whole life. That makes it difficult for me to have some memory. But the good thing about your post is that you had put a picture on with your story, so that makes people who has no idea Know. The only thing you need to fix is using speech marks, and that makes your writing even more interesting. Apart from that you did a great job. Hi Jorja, What a great story you've worked on about King Fisher. I really like it how you use the information that you've put on. I really liked it how you drew your picture nicely done. The thing that you need to fix is your speech marks and that will work. You did a great job Keep it up. Hey Jorja I really like the way you really explained what the Kingfisher eats what it does and where it lives. And I love your drawing of the Kingfisher.